It’s been 10 days since 62 year old Deborah Saucier was last seen at the Hard Rock on January 8 on surveillance video. 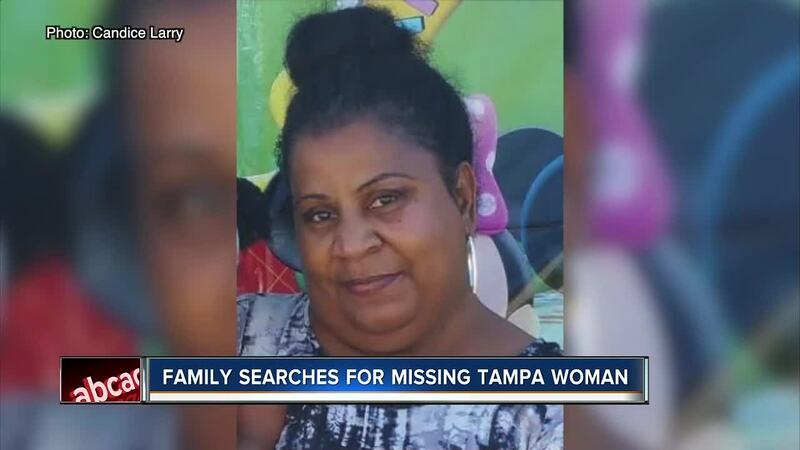 TAMPA, Fla. — It’s been more than 2 weeks since 62-year-old Deborah Saucier was last seen at the Hard Rock on January 8 on surveillance video. Tampa Police discovered her black SUV in a handicap parking spot at Julian B. Lane Riverfront Park on January 14. Detectives also say the retired school teacher’s cell phone, wallet and ID were locked inside her SUV. Surveillance video from the park shows the retired school teacher walking north on North Boulevard underneath the I-275 overpass. Her daughter says her mom is hearing impaired, has memory loss and can’t walk very far. Her family believes she may be disoriented. “I can’t live not knowing where she is. I can’t enjoy life not knowing where she is,” said her daughter Candice Larry. A Silver Alert is active for Saucier. She was last seen wearing dark sweatpants and a brown cap. She is five feet tall and 200 pounds. If you have any information contact the Tampa Police Department at 813-231-6130.